After shopping and eating to my heart's content during our visit to Tokyo, I was quite ready to get out of the sky-rise buildings and concrete, and wanted some fresh air, surrounded by nature. If you're in Tokyo and looking for a quick trip out-of-town into the mountains, Mount Takao makes a wonderful day trip. 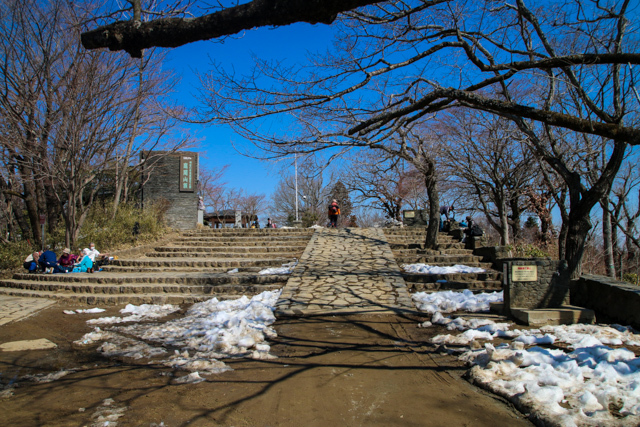 Mount Takao is a sacred Japanese religious destination, and it's also extremely popular for people who want to exercise. It's one of the busiest mountains in Japan, with over 2.5 million annual visitors. The mountain is located only about one hour by train from central Shinjuku station in Tokyo. 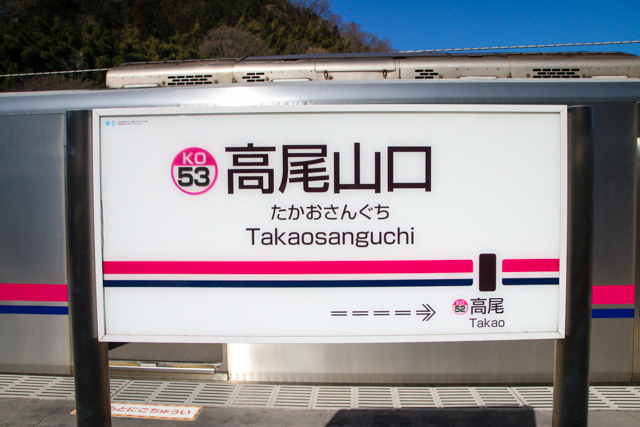 Just get a ticket to Takaosanguchi station on the Keio Railways line, and for just 390 Yen, you'll find yourself at the base of the mountain. Step foot out of the train station, and you can start hiking immediately. Apart from the train costs getting there, or if you decide to take the optional cable car, hiking to the top of Mount Takao is one of the free ways to enjoy Tokyo. 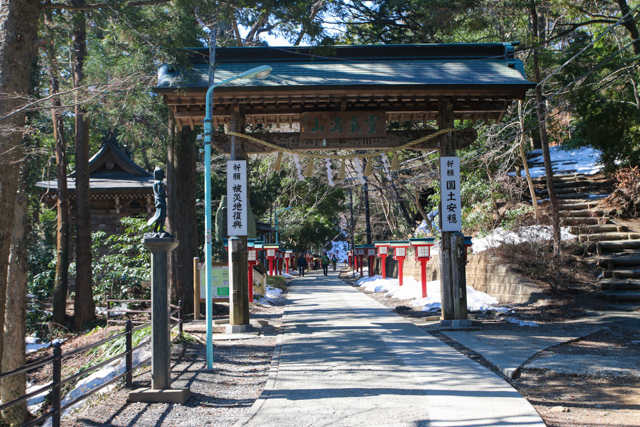 There are two main ways to get up Mount Takao, by cable car or just walking the entire way. The cable car costs, I believe 480 Yen each way, and it only takes you about 1/2 the way to the top of the mountain. I think the cable car can be good, mostly for those who are unable to walk, or who come with small children. For those that can walk, I think the better option is to make the hike, enjoy the fresh air, and get the exercise. 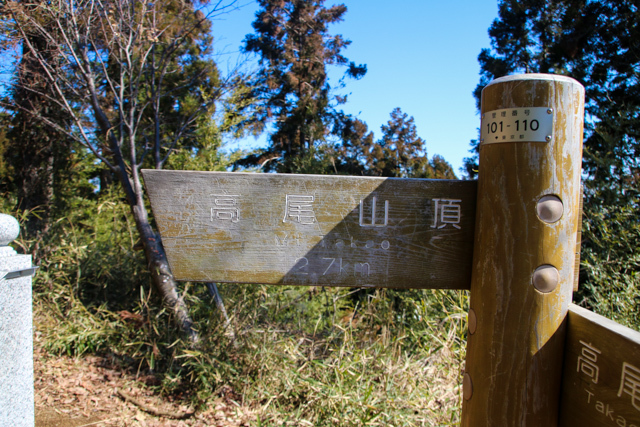 There are eight main designated trails at Mount Takao, all leading in different directions, but all eventually meeting at the top of the mountain. When I went, it was still winter, so it was quite cold, and a few of the trails were blocked by snow. We ended up taking the main trail #1, which is the busiest and most developed trail. Although some parts of Mount Takao feel like you're far removed from the city and within wilderness, being so close to Tokyo, the mountain is more of a recreational park, so you're never too far from civilization. I was hiking up the hill, only passing trees and nature for about 10 minutes, and then all of a sudden I passed a row of about 12 vending machines! As you get to the second half of the mountain, the area where the cable car drops people off, you'll pass more and more restaurants, cafes, and shops. The mountain turns more into a park style environment, but it's still far from motor vehicles, and halfway up the mountain, so the setting is still fantastic. 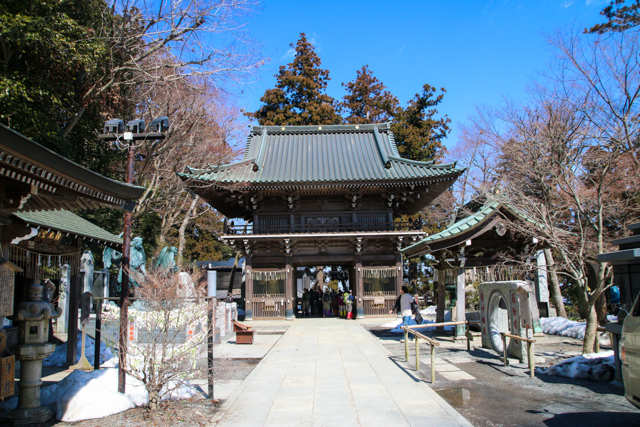 Hiking to the top of Mount Takao you'll pass through many Shinto shrines and even a couple of temples. 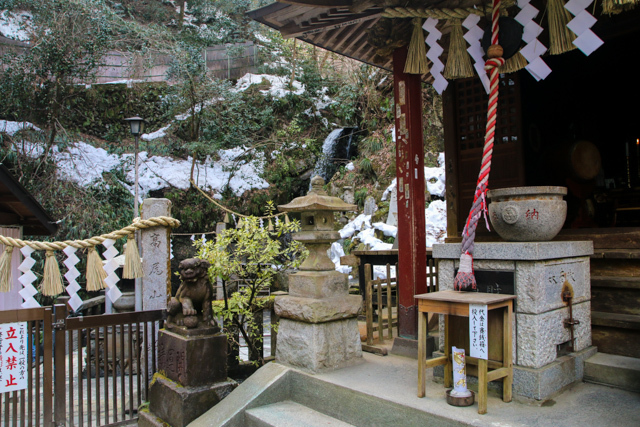 The mountain has been a sacred place of worship for Shinto-Buddhist followers for many years. 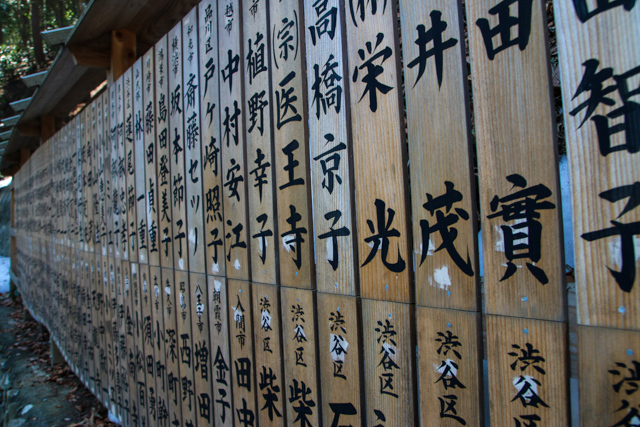 Stopping to visit the peaceful temples and shrines along the trail, are a great addition to a hike up the mountain. It took us a little over 1 hour to reach the top of Mount Takao. The trail wasn't difficult, but it was steep in some parts, and provided some much-needed exercise. The view from Mount Takao was quite amazing, but it can depend on weather conditions. On one side you can see the entire skyline of Tokyo in the distance, and on the other side is the mountain range, including a great view of Mt. Fuji if it's a clear (the day I went Mt. Fuji was covered in clouds unfortunately). Many local Japanese had packed portable grills and food, and carried it up to the top of the mountain. At the top, many people were hanging out, and grilling meat and vegetables over camp stoves. I have to admit, the food smelled amazing, and I know for sure on my next visit I'll be bringing my camp stove and some meat in my backpack too. When you're in Tokyo and looking for a nice nature filled day trip, that's both relaxing and an opportunity to get some exercise, Mount Takao is great place. 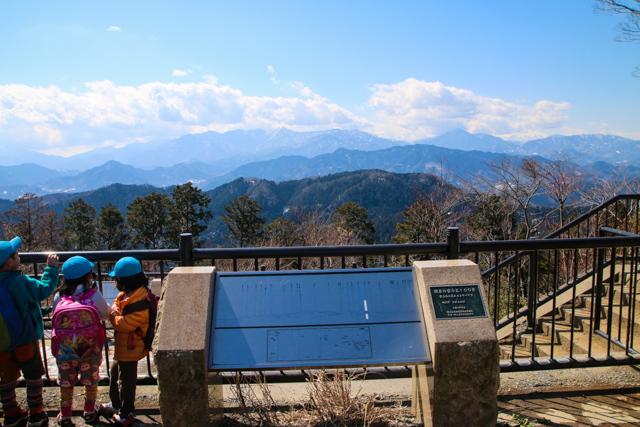 I enjoyed the hike, the Japanese culture that revolves around the mountain, and the wonderful view from the top. I really like the idea of bringing portable grills up and cooked up there, sounds deliciously awesome!